Clementine Deliss will deliver a lecture titled, On the necropolitics of sequestered colonial collections. Abstract: Multiple realities characterize the current situation affecting ethno-colonial museums and their collections in Europe. Restitution itself is quickly turning into a commodity. Every museum wants the stamp of approval that comes with outing one’s colonial collections and admitting to the blatant absence of solid written and photographic documentation. As a result, just as a generation of custodians is about to enter retirement, museum ethnography is experiencing a renaissance. The renewed objective is to go back to the source in order to produce missing pieces of information under the guise of object biographies and provenance studies. In Paris, President Macron sets up a think-tank to bolster negotiations with his corporate acquaintances in Africa. While the restitution of a couple of Benin bronzes is negotiated, the Musée du Quai Branly in Paris accepts a donation from industrialist Marc Ladreit de Lacharrière. Thirty-six sculptures from equatorial Africa and Oceania of so-called outstanding provenance, having graced the salons and “secret gardens” (Chirac) of major patrons in the West, are gifted to the French state museum. Estimated at an insurance value of 52 Million Euro, it’s hard to imagine their immediate return to their countries of origin. How can one begin to reconfigure this complex situation and engineer rights of access to ethnographic collections? While restitution requires patience and enormous determination on the part of indigenous peoples and governments, a new format for what I would call a museum-university is urgently required. This venue seeks to develop new research practices around these sequestered collections, which quite literally represent the world’s art histories. Strategies of re-appropriation including alternative juridical arguments for ownership can be formulated, but only if such museums unlock their stores and transition from the ethno-colonial logos into multi-disciplinary research reservoirs for the 21st century. In this talk, I will address possible models for such a museum-university. Clémentine Deliss is a curator, publisher and cultural historian. She studied art practice and semantic anthropology in Vienna, Paris, and London and holds a PhD from SOAS, University of London. Between 2010–2015, she directed the Weltkulturen Museum in Frankfurt, instituting a new research lab to remediate collections within a post-ethnological context. Exhibitions she curated at the Weltkulturen Museum include “Object Atlas - Fieldwork in the Museum” (2011), “Trading Style” (2013), “Foreign Exchange (or the stories you wouldn’t tell a stranger” (2014), and “El Hadji Sy - Painting, Politics, Performance” (2015). From 2002–2009, she ran the transdisciplinary collective Future Academy with student research cells in London, Edinburgh, Dakar, Mumbai, Bangalore, Melbourne, and Tokyo. Between 1996-2007, she published the itinerant and independent artists’ and writers’ organ, “Metronome” and “Metronome Press”, which was twice part of documenta (1997, dX and 2007, d12). She has held guest professorships at the Städelschule Frankfurt, at the Academy of Fine Arts in Oslo, and was Reader at the Edinburgh College of Art between 2003-2009. She has acted as an expert consultant for the European Union and is a member of the Scientific Council of the Musée du quai Branly in Paris. In 2017-18, she curated four international roundtables on “Transitioning Museums” in South East Asia for the Goethe-Institut. The Dilijan Arts Observatory 2016, a fieldwork gathering of artists, historians, and scientists in a former electronics factory in Armenia, recently featured in “Portable Homelands. From field to factory”, which she curated for “Hello World. Revising a Collection”, National Galerie im Hamburger Bahnhof, Berlin (April-August 2018). 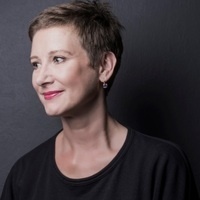 She is currently Professor of Curatorial Theory and Dramaturgical Practice at the Hochschule für Gestaltung, Karlsruhe. She is also Visiting Professor at the Ecole Nationale Supérieure d’Arts Paris-Cergy and has an International Chair at the Laboratoire d’Excellence des Arts et Médiations Humaines, Université, Paris 8 and Centre Georges Pompidou. She lives in Berlin. Cosponsored by Parsons School of Art & Design History & Theory.